I read this article and found it very interesting, thought it might be something for you. The article is called Perrys Aquatic Centre and is located at https://perrysaquaticscentrelincoln.com/Latest%20Posts/loach/. 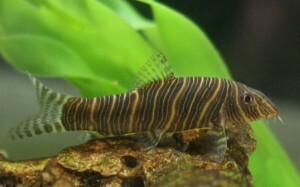 The Botia striata also known as the Zebra or Candystripe loachs appeal is not just because of its color, but its amazing markings as well. This kind of fish is best kept in a community aquarium with a group of its kind since it tends to be a little aggressive sometimes.